Deborah K. Fitzgerald, Kenan Sahin Dean of the MIT School of Humanities, Arts, and Social Sciences (SHASS), has announced the establishment of the Cynthia L. Reed Chair in French Studies and Language. The new chair was made possible by a gift from Cynthia L. Reed and her husband, John S. Reed ’61, former chairman of the MIT Corporation, in continuation of their long-standing support of French at the Institute. Associate Professor Bruno Perreau, a rising star in the field of French studies, gender, and national identity, will be the inaugural holder of the Cynthia Reed Chair, Fitzgerald said. Perreau credited the three emeritus faculty members with building the rich research community of French scholars at MIT—one that continually moves the field in new directions. Indeed, it was the innovative teaching of MIT’s French faculty that inspired Cynthia Reed and her husband to endow the new chair, according to the donors. 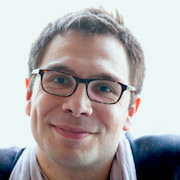 The author of several books, including The Politics of Adoption: Gender and the Making of French Citizenship (MIT Press, 2014), Perreau has a Ph.D. in political science from Panthéon-Sorbonne University in Paris. He recently spearheaded the launch of the Global Borders Research Collaboration (with PRESAGE Sciences Po and the Institute for the Study of Human Rights at Columbia), an initiative that promotes the study of identities, kinship, citizenship, and the sense of belonging across national borders. He also founded the MIT Global France Seminar, a free series of events that examine French and Francophone studies in a global context.